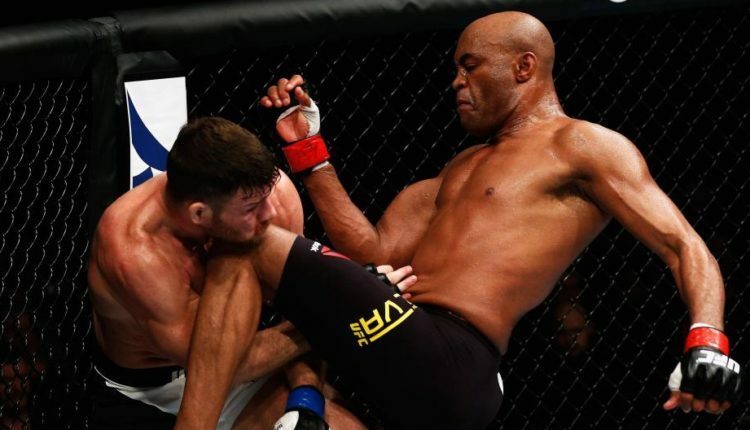 Former UFC Middleweight Champion Anderson Silva returns to the UFC in February at UFC 234, taking on rising middleweight contender Israel Adesanya. Brett Okamoto of ESPN was the first to break the story after speaking with UFC President Dana White. Silva last competed in 2017, defeating Derek Brunson via decision at UFC 208 in Brooklyn, New York. Silva was flagged by USADA for a failed random drug test in October 2017 but ended up serving just a one-year suspension due to contaminated dietary supplement causing the failed test. Silva, who at one point held the UFC record for most consecutive title defenses, has just one win in the past five years. Adesanya, the former kickboxer, debuted in February and racked up four wins, most recently a first-round finish of Brunson at UFC 230 at Madison Square Garden. UFC 234, which takes place from the Rod Laver Arena in Australia, will be headlined by UFC Middleweight Champion Robert Whittaker defending his title against Kelvin Gastelum.